His cover is blown. Now his enemies are on his heels and closing in. Presumed dead by friends and family, Michael Hunt is alive–and on the run. Presumed dead by friends and family, the undercover assignment he’s been working for the past eight months has just been blown. With a hit out on his life and corruption inside the Atlanta police department, Michael finds himself hunted by both the cartel and the law. His only hope is Olivia Hamilton–the daughter of the man who wants him dead. 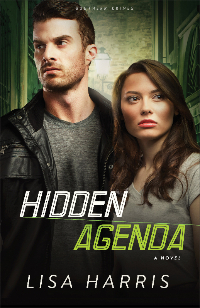 Hidden Agenda will have you sitting on the edge of your seat throughout the entire book! Michael Hunt is alive and well, but no one know that, because Michael has been working undercover but he can’t tell because he doesn’t know who to trust. There is clearly some dirty cop stuff going on, and he would be dead if anyone found out! Through all of the twists and turns in this story, Michael ends up with the daughter and son of the man who has a hit on his life. But is this enough to save Michael’s life, and reveal everything he has learned while undercover? You will be thrilled, and will not put this awesome book down, as you read Lisa Harris’ new book, Hidden Agenda. I love, loved this book, and I can’t wait for the next book from Ms. Harris! 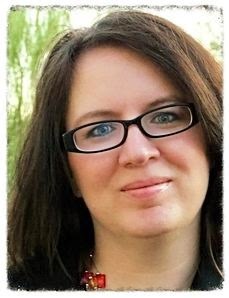 Lisa Harris is the award-winning author of more than twenty books, including the Christy Award winner Dangerous Passage and Fatal Exchange. Winner of the Best Inspirational Suspense Novel for 2011 from Romantic Times, Harris has spent over ten years living with her family as missionaries in Mozambique, where she leads a women’s group and runs a nonprofit organization that works alongside their church-planting ministry. Visit www.lisaharriswrites.com for more. If you’ve been married more than a few years, you probably know how it goes. You start out in the throes of passionate romance only to have the fire cool over the years–especially when kids come along or life gets too busy. But keeping the romance alive is easier than most people think. Now the author of Becoming Your Spouse’s Better Half shares the secrets of pursuing romance that won’t quit. With wit and wisdom, Rick Johnson shows you how to communicate effectively with your spouse, recapture the feeling of young love, incorporate romance and intimacy into everyday life, understand each other’s unique sexual needs, and more. The useful insights and solid advice in this practical book will strengthen your marriage now and into the future. Rick Johnson is a bestselling author of Becoming Your Spouse’s Better Half, How to Talk So Your Husband Will Listen, That’s My Son, Becoming the Dad Your Daughter Needs, and Better Dads, Stronger Sons. He is the founder of Better Dads and is a sought-after speaker at many large parenting and marriage conferences across the United States and Canada. Rick, his wife, Suzanne, and their grown children live in Oregon. To find out more about Rick Johnson, visit http://www.betterdads.net. Rick Johnson has been married for many years, and to the same woman. 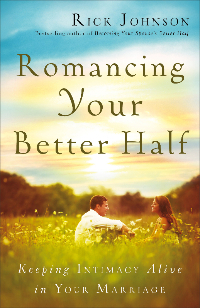 And it is from his marriage experience that he writes this book, Romancing Your Better Half. Mr. Johnson writes this book from a man’s perspective, but women will find tons of helpful information in this book as well. This would be a wonderful book for the couples thinking about marriage as well as those already married. Mr. Johnson’s ideas in this book is to teach couples how to have a better relationship with your spouse. As well as how to take the marriage you have to the next level. I would encourage anyone getting married, or already married to pick up a copy of this book! And that takes in a lot of people here! Sandra Orchard is a new favorite author for me. This was such an enjoyable read! I love the suspense throughout the book, and I just couldn’t figure out why this little old lady had counterfeit bill! 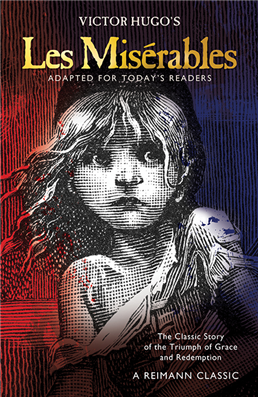 A lot of things going on in this story, which kept me glued to the page! 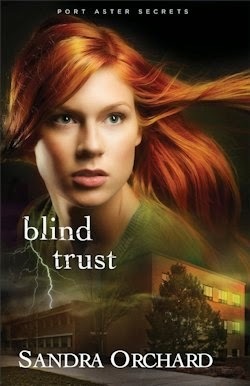 If you enjoy a good clean read that will keep you on your toes, I highly recommend Blind Trust! I promise you wont be able to put it down. Find out more about the series and purchase a copy here. I really enjoyed this detective story written for young readers! But not only the younger generation will love Buckley and Bogey, so will everyone of all ages! Right now the detective cat team are having the crime of their life, because this is a much more complicated case than any they have had before. This time their job was to protect their own house. Job tensions soared when a mysterious package was dropped at their moms business and their job was to hid the package until they found out what was going on. This is such a fun and entertaining story for young readers, and the detectives Buckley and Bogey will have them laughing and waiting for their next move. I know your child will love reading this really good adventurous tale and the pages full of laughs that await them. I highly recommend this sweet little book! Cindy Vincent was born in Calgary, Alberta, Canada, and has lived all around the US and Canada. 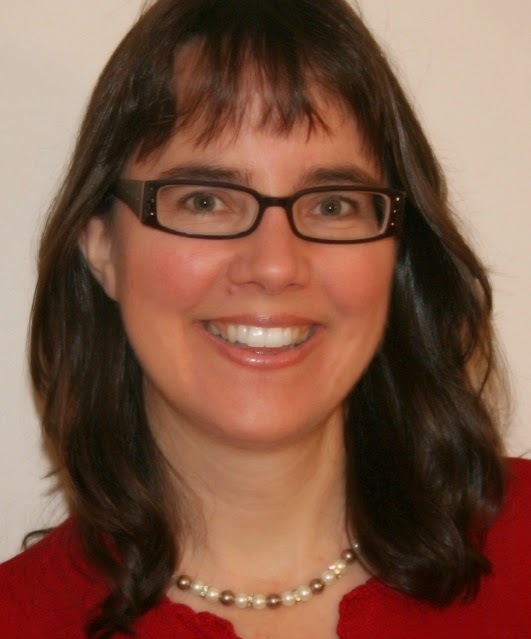 She holds an M.A.Ed, and is the creator of the Mysteries by Vincent murder mystery party games and the Daisy Diamond Detective Series games for girls. She is also the award-winning author of the Buckley and Bogey Cat Detective Caper books, the Daisy Diamond Detective book series, and the “Cats are Part of His Kingdom, Too: 33 Daily Devotions to Understanding God’s Love.” She lives with her husband and the real, live Buckley and Bogey, who run surveillance on her house each and every night. With his twenty-first birthday, Hyam begins a journey that will lead him to his destiny–or his doom. Hyam has always shown a remarkable ability to master languages, even those left unspoken for a thousand years. But now the shadow of suspicion that was cast upon him as a child prodigy at Long Hall is lengthening, and he must keep his identity hidden–or face annihilation. As Hyam’s mother slips toward death, she implores him to return to Long Hall before he settles down to farm his land. This journey born from duty becomes an impassioned quest for the truth. War is coming swiftly, and Hyam must rely upon his newfound powers and the friends he meets along the way in order to unravel the puzzling past and ensure that he–and the realm–will have a future. Except for the healing arts, magicking is a punishable offense in the realm. The only places it is still practiced are the Long Halls scattered throughout the land–isolated haunts of wizards called mages and their long-suffering students. 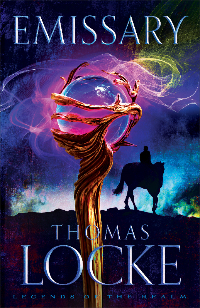 Thomas Locke is a pseudonym for Davis Bunn, the award-winning novelist with total worldwide sales of seven million copies. His work has been published in twenty languages, and critical acclaim includes four Christy Awards for excellence in fiction. He divides his time between Oxford and Florida and holds a lifelong passion for speculative stories. Davis’s screenplay adaptation of Emissary is currently under development as a feature film with a British production company. Learn more at http://www.tlocke.com. Being a Davis Bunn fan, I so wanted to like this book, but I just couldn’t get into it, even though I kept reading hoping the story would get better for me. But to be fair. the fantasy genre is just not for me. And as any book written by this author, Emissary was an amazingly written book, and the professional writing of Thomas Locke, aka Davis Bunn shines through clearly. So if you enjoy Fantasy, You will enjoy this book! So I encourage you to pick up your copy and give it a try! As with all of the Quilts of Love Series from Abingdon, Masterpiece Marriage centers around a special quilt. I have really enjoyed all the books in this series, each one is so different, yet each one captures your attention, drawing you into the story. Zenus and Mary were characters that I quickly fell in love with. And I loved the aunt and the way she put the pieces of the quit together, all the while trying to draw Zenus and Mary together. But they were so stubborn!! But all in all, Masterpiece Marriage turned out to be a sweet romance, full of love, friends and tension and a lot of adjustments in personalities, bringing this quilt together and a story that is sure to warm your hearts. Have you ever felt that you lack the know-how to take control of your financial life? You’re not alone. But it’s not a lack of savvy that’s the problem, says personal financial expert Mary Hunt; it’s a lack of confidence. And Hunt is here to help you develop a can-do attitude toward money so that you can take control of your finances. She also includes a six-week action plan to help you get started right away. You’re smart, you’re capable, and you’re just a few steps away from a positive, confident financial future. Mary Hunt is an award-winning and bestselling author, a syndicated columnist, and a sought-after motivational speaker who helps men and women battle the epidemic of consumer debt. She is founder and publisher of the interactive website Debt-Proof Living, which features financial tools, resources, and information for her online members. Her books have sold more than a million copies, and her daily newspaper column, Everyday Cheapskate, is nationally syndicated through Creators Syndicate. Hunt speaks widely on personal finance and has appeared on shows such as NBC’s TODAY and Dr. Phil. She and her husband live in Colorado. Find out more at http://www.debtproofliving.com. I have read several of Mary Hunt’s Books are they are all so very good! 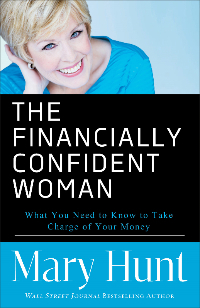 In this book, she teaches you how you can get a handle on giving saving money, getting started with investing money, preparing for emergencies, rejecting unsecured debt, getting what you pay for, and many more valuable tips and much info on so many topics. And I like that she doesn’t just teach you and leaves you hanging, she gives you a 6 weeks action plan to put what you have learned from her book into action. If you are struggling with your finances, I highly recommend you pick up this book for help! And Mary Hunt has several more amazing books out there as well, so check those out too! 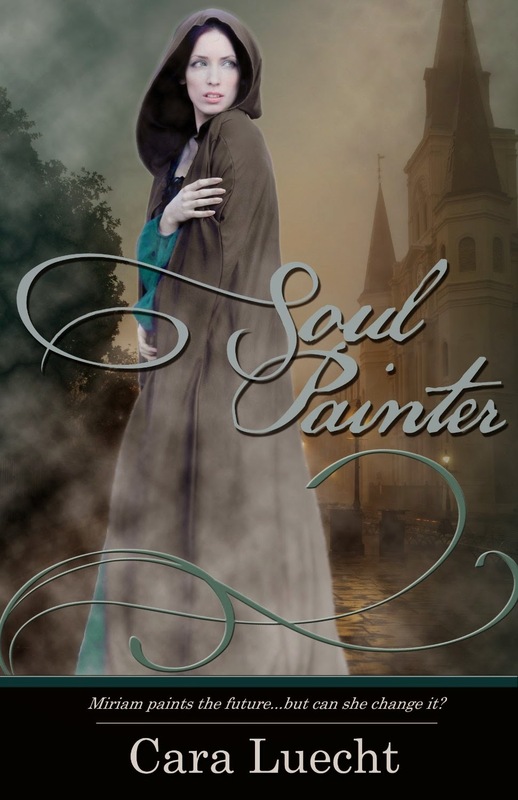 This is my first book by this author, and I thoroughly enjoyed reading Soul Painter. It is very well written, the characters are unique and very interesting, and I enjoyed getting to know them more as the story unfolded. This was a very different genre for me to read, but I am so glad I gave it a try. I look forward to reading more from Ms. Luecht! After Gina Welborn earned a Communications degee from an Oklahoma university, she thought the perfect career choice was working at a news radio station writing commercial copy, public service announcements, and news reports. A PSA writer, sadly, can only be so creative when describing ketchup and Geronimo’s grave. (No, she never combined those two elements in the same script, but now that she thinks about it, she wishes … ) Thus Gina “retired” to focus on goal, motivation, and conflict within her family before discovering her niche in writing romances. 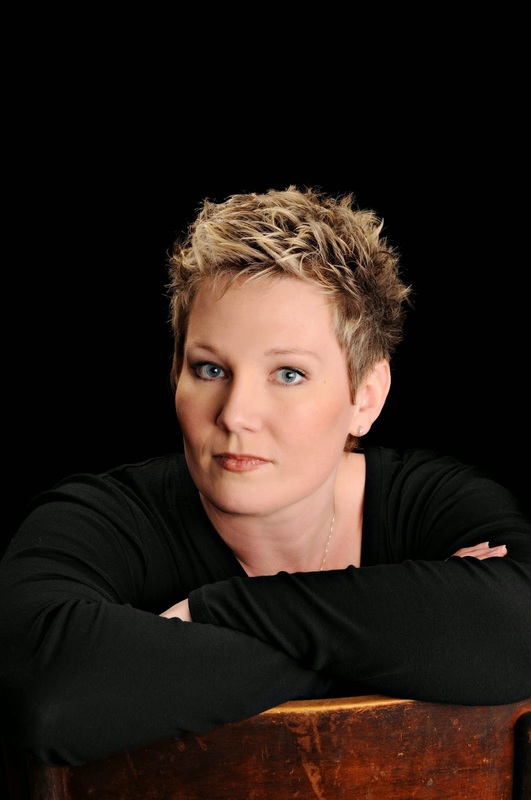 A member of RWA and ACFW, Gina has four published novellas, including one in the ECPA-bestselling Mistletoe Memories, and three short historical romances: The Heiress’s Courtship, The Marshal’s Pursuit, and Masterpiece Marriage. A moderately obsessive fan of Community, Once Upon a Time, and Chopped, Gina lives in Oklahoma with her pastor husband, their five Okie-Hokie children, a box-lab, two rabbits, four guinea pigs, and a fancy Russian dwarf hamster named Tom Bob Deucalion. Gina is represented by the Steve Laube Agency. Another awesome book in Abingdon’s Quilts of Love Series. And another very special quilt surrounded around a special story. I really liked Zenus’ aunt and the place she has in this story. I was so intrigued with her quilt, and the story behind it, and fell in love with these characters. 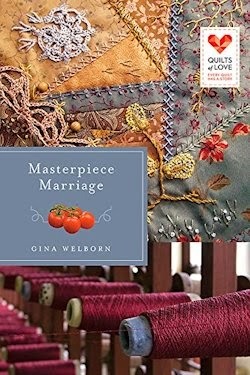 I encourage you to pick up a copy of Gina Welborn’s Masterpiece Marriage, it will sure give you many hours of entertainment!